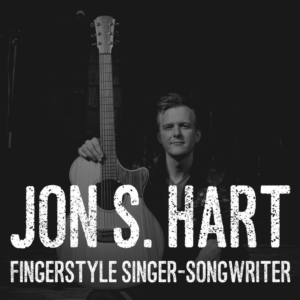 In a recent post, I wrote about what I’d learned running my first crowdfunding campaign. Well, I’ve since run another one and, as you might imagine, have learned much more. This time, it was all about community crowdfunding. To give you a bit of background, in November 2017 we opened a community café in one of the most deprived areas in Surrey, Merstham estate. 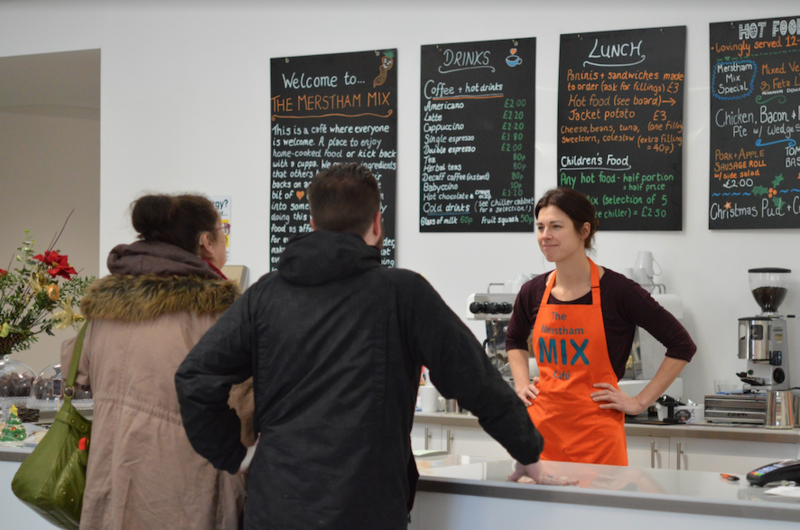 The café is called The Merstham Mix and our objectives are to serve healthy food at very affordable prices for the local community. We also want to tackle the huge food waste problem. So, partnering up with FareShare, we’re able to offer the special of the day at just £2! 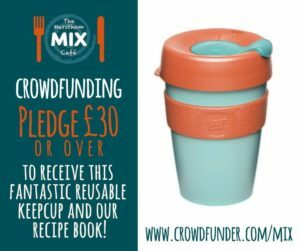 The objective of the crowdfunding campaign was to raise funds to extend our opening hours and launch cookery courses to cook on a budget. We wanted to do more than just provide short-term help and with the courses, we’ll be addressing one of the root causes of food poverty. We could have gone the route of grant applications (and to a certain degree, we did). But we knew, from my experience with Crumbs Brewing, that a rewards-based crowdfunding campaign has many other advantages. And we wanted to benefit from them! We launched the campaign on crowdfunder.co.uk on the 28th of February. The campaign closed on the 31st of March. 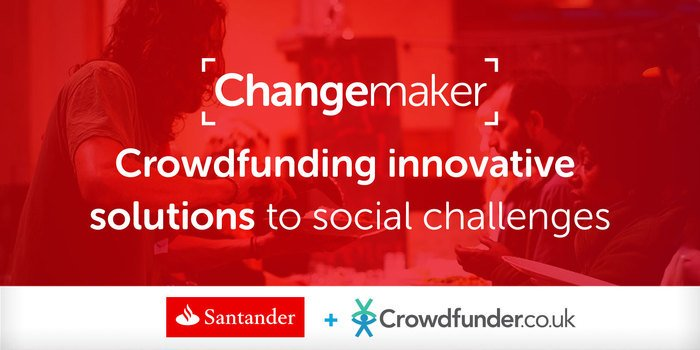 With the help of the crowd and the Santander Changemaker fund, we raised £20,217. And even once we’d closed, we still received over £500 offline… amazing! Launching with a party is the way to go! We wanted to start with a lot of momentum in our campaign, to generate a buzz and also credibility to people less familiar with our project. 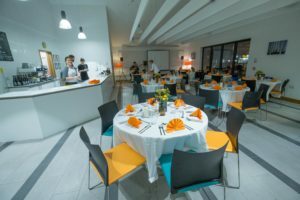 So we put together a fundraising supper and we raised over £3k on our first day. Result! 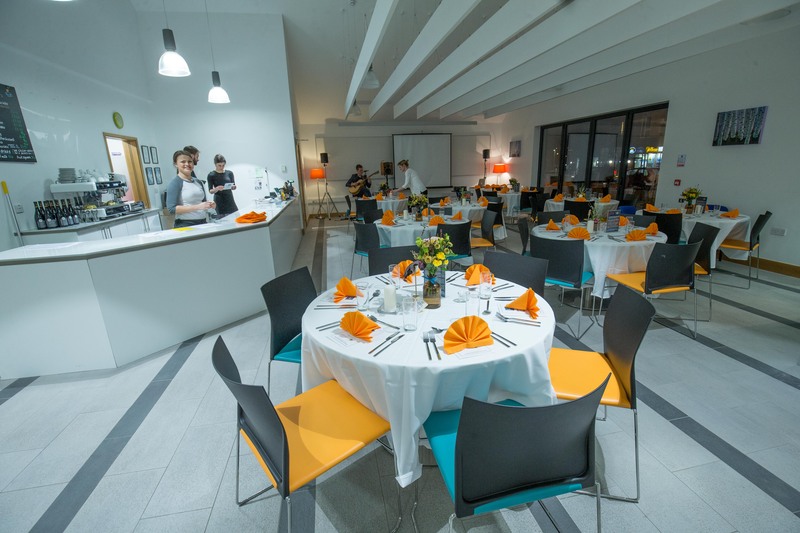 The Café looked gorgeous on our crowdfunding launch! Rewards are not as important as in other campaigns… but still make a difference! The metrics of our campaign show us that over 80 of our donors didn’t claim a reward. But the others did, and we made them very happy! We looked at maximising the value offered while keeping our costs low, so we could invest as much of the money raised in the project as possible. The base reward was a pdf cookery book, that thanks to one of our star volunteers, had no cost for us. Next one up was a reusable cup, that although had a bit of cost for us, it will encourage people to drink on the go while reducing waste. And then we had amazing donations of rewards from a yoga teacher, a dance centre and even a music festival! Tap into your Friends, Fools and Family: they will be the first to donate. They will help you spread the word and reach outside your immediate circles. Don’t be afraid to ask. They want you to succeed! 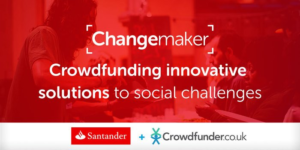 Look for match funding: crowdfunder.co.uk partners up with over 20 local councils and several private companies match funding community projects. Do talk to them to see if you would qualify. It makes a massive difference! Having a storefront does help: on top of the 135 online donors, we had at least another 40 that gave us money through the till. Even if you don’t have a storefront, think about any partners that could act as one. Community hubs with high footfall are a good example. Presence at a local event taking place during your campaign could also work wonders. Use social media cleverly: it pays off to have a good social media manager. Even if we started with a relatively small following, we had a great reach through Twitter and a lot of conversions through Facebook. Also some of them from Instagram. Without a good use of social media, we wouldn’t have reached our objectives. And during the campaign, we grew our following significantly. Result (again)! Engage with other institutions: local churches, charities and private companies got involved during the campaign, donating generously. In hindsight, we should have worked with these donors a bit earlier. Also, we reached to videographers, musicians and designers that helped us without charging a fee. The campaign will raise your profile. We definitely felt a spike in sales during the campaign and after. What a great marketing tool! Use the momentum to engage with donors and turn them into volunteers. The campaign will engage the local community. People heard about us through the campaign and decided to volunteer. Awesome!  Community crowdfunding is not easy money! It takes a lot of time to get your ducks in a row and a lot of stamina to go through the ups and downs of the campaign… and it pays off to have someone that knows what they’re doing in the team. In this case, it was my experience in marketing with big corporations and the previous successful campaign with Crumbs Brewing… but it’s well worth it! For us, it not only provided the funds but also customers, volunteers and an engaged community. It also proved that there was a demand for our café and the courses we were going to launch. Running a community crowdfunding campaign is not easy. There are a lot of variables to control and a lot of stakeholders to manage. On the other hand, it’s well worth it, not only for the money but for all the other benefits discussed. It definitely pays off getting advice from people that have gone through the experience.